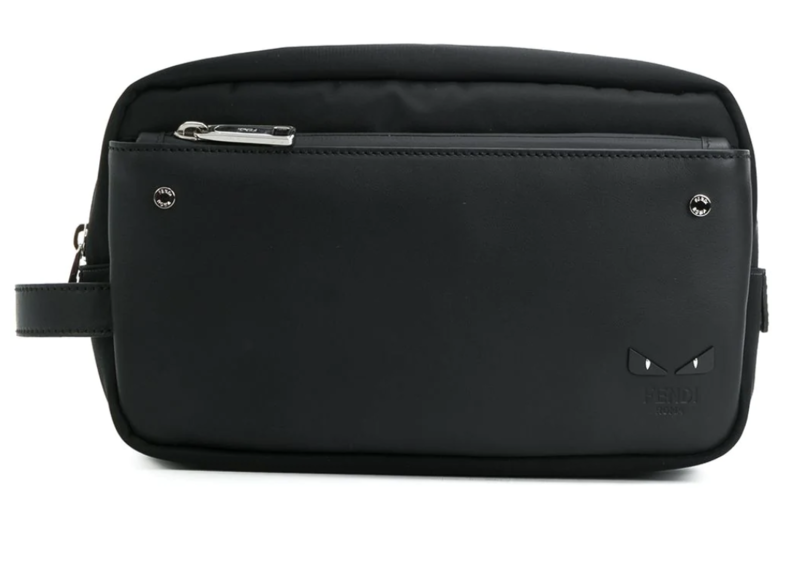 Every luxury traveller needs a good washbag to complete the luxury look. From soft leather, canvas and nylon, to a classic design or hanging design there are a multitude of options out there. So make sure you get the perfect toilet bag by reading this guide to our favourite luxury designer wash-bags for the jet setting man. Read our guide to the best designer sunglasses for 2019. 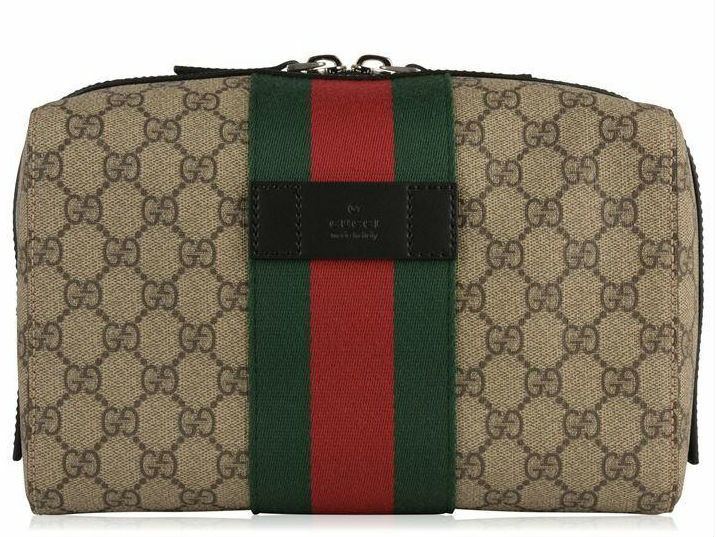 We love Gucci here at The Luxury Editor and this washbag by Gucci is a timeless classic. Carry all your essentials in this webbed washbag by Gucci. Featuring a zip top closure and one internal compartment and zipped side pocket and finished with the signature GG branded canvas and branded strip to the front and rear. 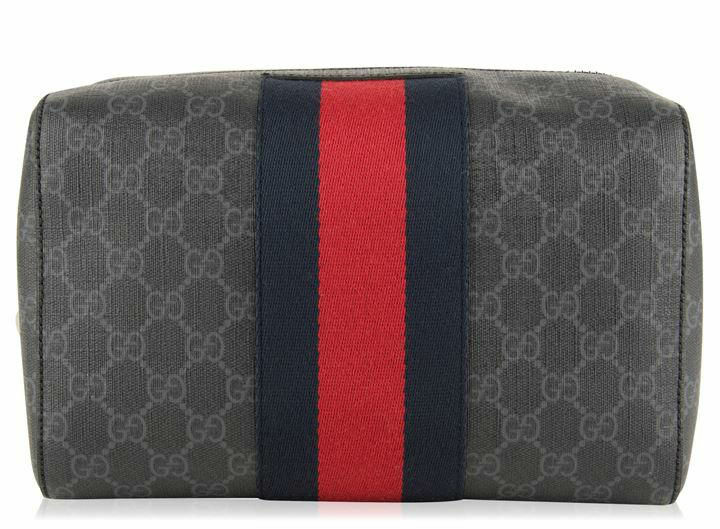 Carry all your essentials in this webbed washbag by Gucci. Featuring a zip top closure and one internal compartment and zipped side pocket and finished with the signature GG branded canvas and branded strip to the front and rear. 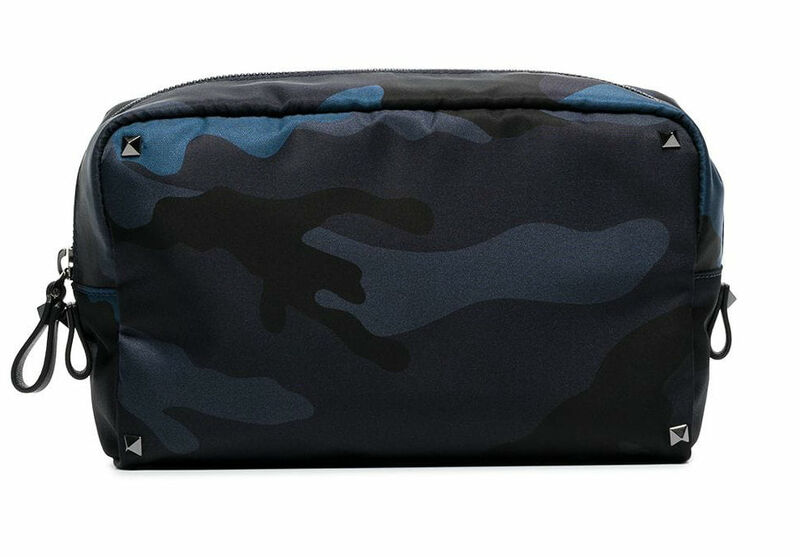 Valentinos camouflaged stud washbag comes in tonal blue and black camouflage and features a zip fastening, front logo patch and internal zipped pocket, sophisticated and edgy, a great washbag for 2019. 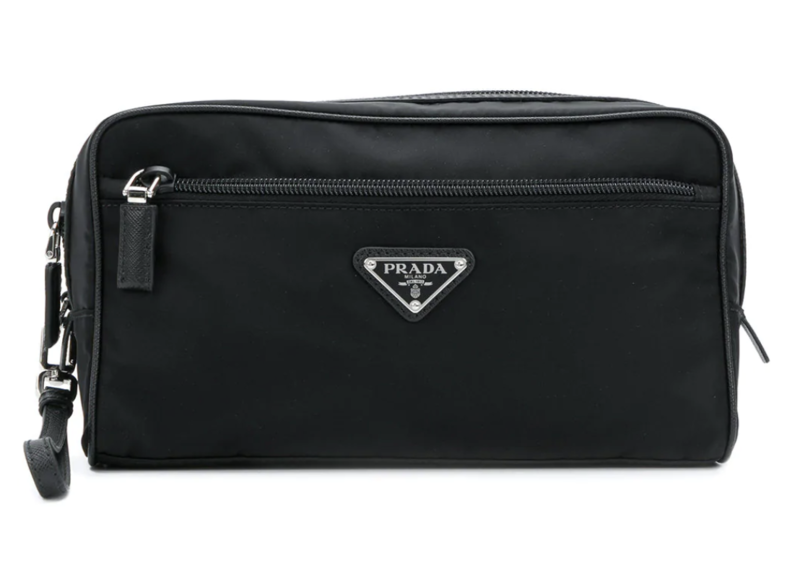 Prada is an Italian brand know for producing timeless luxury items and this washbag by Prada is just that. The black leather logo and nylon washbag is the ultimate travel accessory for every luxury traveller. The bag features a zip top fastening and front zip pocket and silver-tone logo plaque. 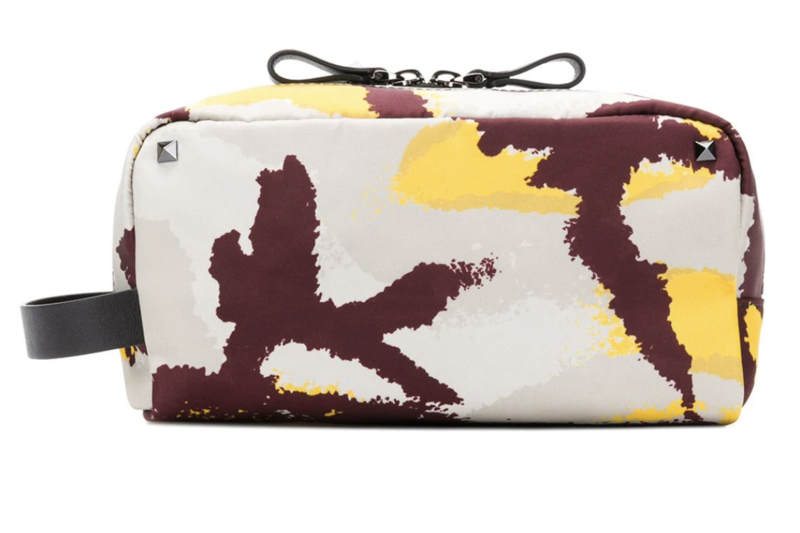 This Valentino washbag shouts fun fun fun with its lively camouflage print. Crafted from nylon it features a two-way top zip and signature logo patch.